We loved our stay at the Budapest apartment. It was centrally located and within steps of major sights. The apartment was comfortable, well-equipped and cheerfully decorated. Our host was responsive and arranged to meet us at the apartment when we arrived. A metro stop is conveniently located just outside the apartment which made seeing the city quite easy. We would definitely recommend this property. This appartment was very nice. It is centrally located with great access to restaurants, shopping and public transportation. It is nicely appointed and very quiet and has A/C that works well. All of the appliance and furnishings are new. It has a dishwasher, induction cook top, fridge and washing machine (no dryer). It is on the 5th floor of the building and all windows look out into the central courtyard - no street view which is why it is so quiet - great for sleeping! first week. It was never cleaned or addressed. We very much enjoyed Budapest and the appartment itself was very nice, quiet and private. I just feel the management company should have made an effort to address the private stair way access area. It is a small area and would only have taken someone an hour or so to clean it up. The "lounge up" app was really helpful. And Appartments of Budapest has other properties that are very nice and reasonable priced. A friend of ours stayed in one. Their appartment was every bit as nice as ours and had much more please to accesss. 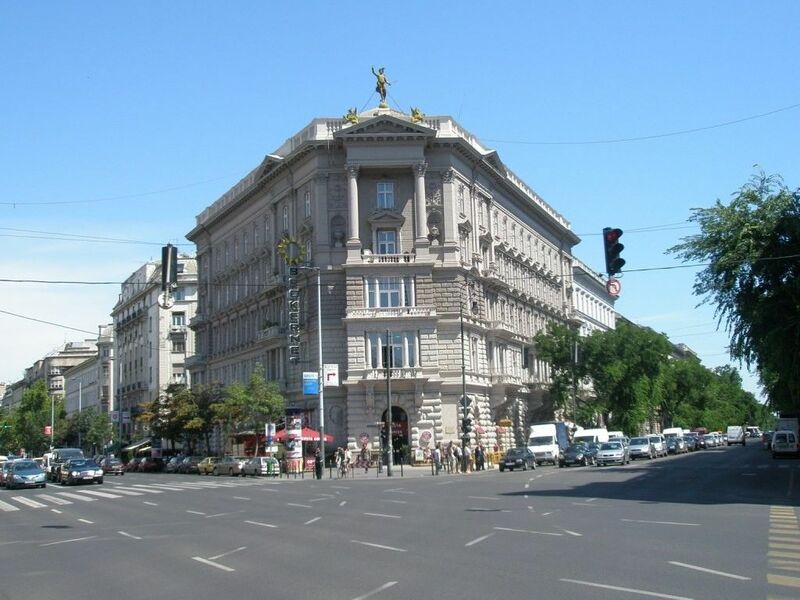 It was located in the same building as Aparments of Budapest's office by the Opera House. We would go again, just probably stay at one of the other units this company oversees. You could not be more central if you tried and despite being on a very busy street you cannot hear the traffic from this apartment which is situated at the top of a beautiful old building. The lift is a stunning and wonderful reminder of bygone days in Budapest. There are two bedrooms and although small they are more than adequate for a holiday stay. The kitchen has everything that you need including a dishwasher. One can walk to many of the tourist attractions such as St Stephens Church and the Parliament and for visits further afield the apartment is right next to metro, tram and bus stops. It is a perfect location for visiting the beautiful city of Budapest. Perfect Location in the heart of Budapest. Great Apartment. Highly recommended. We stayed for 4 days in November and it was nothing but fabulous. There were four of which is a nice number for the apartment. More than that and people are sleeping in the living room. We used the fire place which was a nice treat in November. The apartment was complete with everything we needed. The apartment is one block from the Opera and one block from St Stephens Cathedral so we were never lost and always close to everything we wanted to see and do. thank you for your honorable review, it was a pleasure to host you! We look forward to welcoming you next time! thank you for your review, it was nice to host you! This centrally located apartment made a wonderful base for an autumn city break for my partner and our teenage daughter. Spotlessly clean and well equipped the apartment had all of the amenities that we needed and benefited from a fantastic position at the very top of an historic building in one of Budapest's most iconic streets. Just feet from the Metro and in easy walking distance of historic sights, shops and restaurants we couldn't have been better placed. Tamas was very helpful and efficient and was even able to organise airport pick up and drop off at a very reasonable price. Highly recommended.